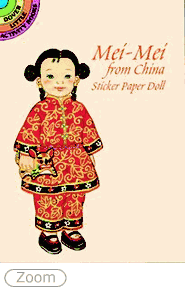 A petite Chinese girl doll can be dressed in a vivid array of traditional garments. Stickers include costumes and accessories for court, New Year's festivities, the Peking Opera, more. 28 full-color stickers on 4 plates.